US electrical manufacturer 3M is strengthening its commitment to the New Zealand electrical industry through new distribution arrangements focused on electrical wholesalers. 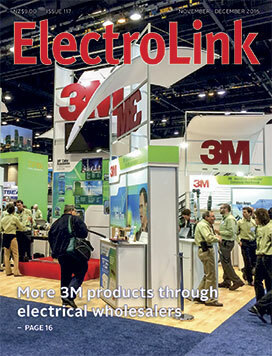 Regional general manager, Damien Jones, says 3M is increasing its wholesale presence to build a better understanding of the advantages offered by 3M electrical products and how they add greater value to the work of electrical professionals in the field. OHUG has been distributing 3M low and medium voltage products to the power industry for the last six years and will now represent all 3M electrical products in New Zealand. Storm clouds are quietly gathering over the registration and licensing of electricity line workers as the first tranche of regulations developed under the Health and Safety at Work Act 2015 are being completed. The regulation of electrical work places and the conducting of work in them has long been slated for the second phase of regulations where the government will make final decisions on how it will address the boundaries between electrical and workplace law, and whether or not the last vestiges of worker safety law will be removed from the Electricity Act to the HSW Act, or remain. The future regulation of ‘live’ work on installations and works will come under close scrutiny in this second regulatory phase, and that could feed into a review of the safety of line work and where and how it should be regulated. Guidance on the safe charging of electric vehicles has now been provided by Energy Safety with the release of a three-part set of guidelines that cover the installation of domestic and public ‘electric vehicle charging stations’ and the compliance of ‘in-cord control and protection devices’ connecting to them. The rush to publish these guidelines follows a recently adopted government policy to hasten the uptake of electric vehicles (EVs) and the need to ensure the supply of power from installations or works to these vehicles is delivered safely. The road to safe EV charging has been a rocky one with no resolution to Energy Safety’s attempts to get Wiring Rule changes for this into AS/NZS 3000. 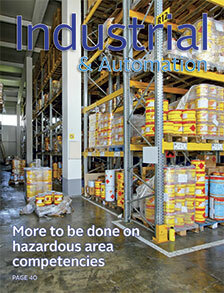 Selecting products to ensure safe electrical installations in hazardous areas has not only become a lot easier over recent years but also more competitively priced, thanks to an internationally recognised certification system that has now been adopted around the world. But this system, known as IECEx, would never have been established if it wasn’t for the commitment of a handful of international experts including electrical inspector Garry House of Christchurch. As a result of his contribution that began in 1996, the International Electrotechnical Commission (IEC) was able to develop the IEC System for Certification to Standards (the IECEx system) governing equipment for use in explosive atmospheres. In September in South Africa, House was presented with the ‘IEC 1906 Award’. The award recognised the significance of House’s role in establishing the international certification system as well as the work he has done in many areas of international standards development such as his contribution to the writing of the IEC 60079 series dedicated to safety in the use of equipment and installations in hazardous areas. 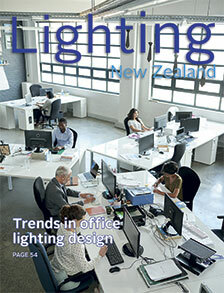 For most of living memory office spaces have been lit by recessed pan fittings. T8 or T5 fittings provided light on desks and typewriter keys and people were happy with that until the 1980’s when we started to use computer terminals. Part of our work surface was now vertical rather than horizontal and suddenly screen reflection and glare were an issue. Louvres were introduced to reduce the glare from vertical light on computer screens, however louvres also reduced light on the surrounding furniture, walls and ceiling, to the extent that offices sometimes looked like dimly-lit caves. Once modern screen technology meant we no longer needed louvred fittings, there was a return to the T5 and diffuser model of luminaire. Then energy efficiency became the main consideration and, once again, this came at the expense of appearance and comfort.